Well, not her real one. 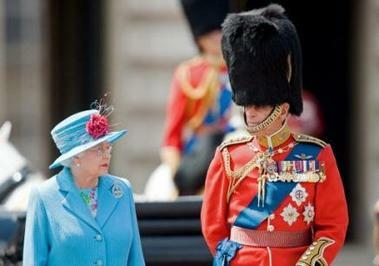 Queen Elizabeth II celebrated her real birthday on 21st April, which we celebrated here. But this is her official one, traditionally the monarch has a birthday in the Summer months as the weather is better for outdoor tea-parties. Apparently. The celebrations that took place today were actually the ones that I witnessed rehearsals for last week. Happy Birthday!